Here's a unique pizza idea that works well for an appetizer or even dessert! 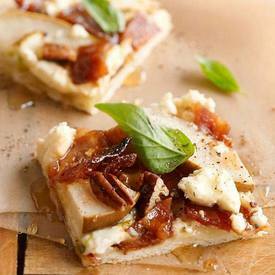 The sweet and savory pizza topping ideas will be a hit with your friends and family. To cut down on prep time for this Bacon pizza, start with a store-bought Italian bread shell.